It’s a collaboration with a twist - turning something that beer drinkers know and love into something new, and stamping it with their own mark. Bristol Beer Factory and Wiper and True have given each other free reign over one of their established brews, challenged each other to pick their favourite, and re-brew it in their own particular style. 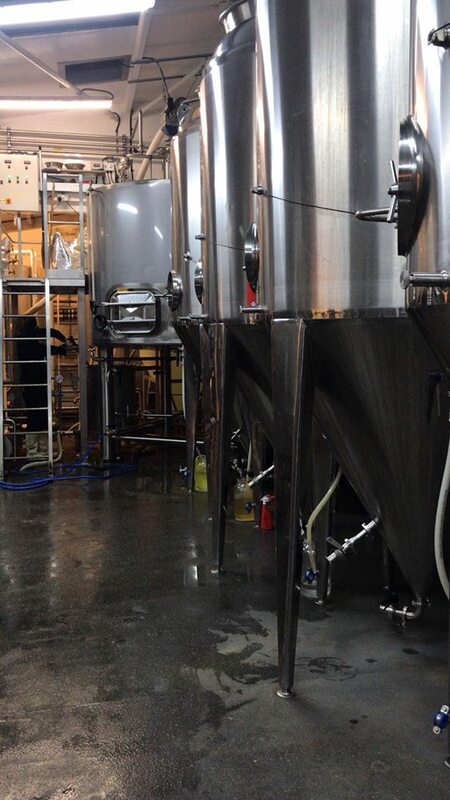 The brewing community is strong in Bristol, Wiper and True and Bristol Beer Factory have always had a strong relationship but have never worked together like this before. When Michael Wiper approached us for this partnership, we couldn’t say no. There was a warm sense of occasion whilst brewing these beers. Bristol Beer Factory chose Wiper and True’s Quintet, a powerful beer made with an always-changing combination of five hops. Coming in at 6.2% this IPA is full of flavour and fruity depths. We are known for making sessionable beers - following the mantra that a cask beer should always pass the three-pint test, encouraging people to stay in local, independent pubs and drink to support the industry. This was the challenge BBF set for Quintet - to change it from a strong keg into a session cask. Senior brewer Tristan took the challenge in his stride and decided to change the recipe from five hops to four, to create Quartet, while knocking down the ABV to 4.2%. It’s still an IPA in name and in nature - but with a difference. Mosaic, Simcoe, Citra and Denali hops give it the classic IPA floral and citrus, with a crisp aroma and lingering bitterness. But the addition of lactose means this beer will have a smooth, sweet body to counter the IPA bitterness, creating a beer with a near-perfect finish. Wiper and True chose to tip a BBF staple and near-legendary pint on its head. Independence, available in cask, keg and bottle has been one of Bristol Beer Factory’s best and most popular beers for almost eight years. A bold choice for W&T to turn what is a smashable pint into something more powerful, likely to knock you round the head with its strength. The aptly-named Co-Dependence is a 6.8% keg version, fermented with a New England yeast strain to give big fruit flavours, esters and a hazy appearance. They used our Amber malt, new to them and hopped with Junga and Nugget. It was brewed using the ever-elusive but oh-so-talked-about Cryo-hops. Hops can come as a whole hop, pellets and now a powder. Breweries have different preferences for their hops, some believing that the true aroma and flavour comes from the unadulterated entire hop cone itself, while others opt for pellets packing just as much punch, without the danger of clogging up tanks. But the latest “cryo-hops” are a powder extracted from the hop plant at minus 35 degrees C, and allow brewers to use a fraction of the amount for the same flavour. They enhance the hop flavour with juicy resinous and fruity characteristics. This collaboration was always going to lead to two distinct beers, totally different from their original counterpart. 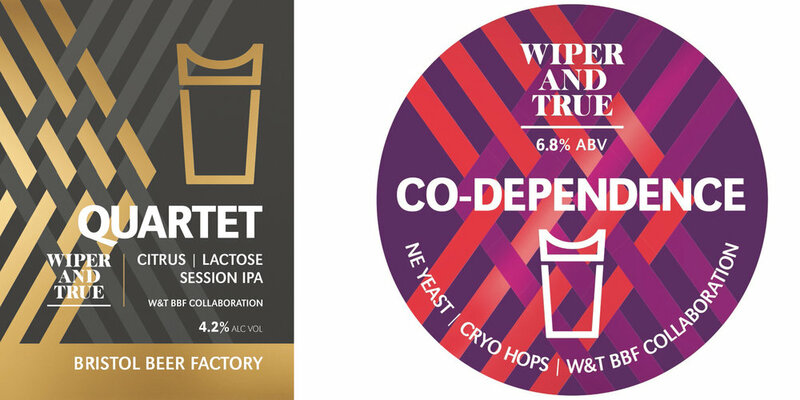 Now the beers are brewed they can be found in local independent venues around Bristol and to celebrate Wiper and True will be joining us in our Tap Room on the 31st January and sharing our taps. Both Quartet and Co-Dependence will be pouring alongside their original counterparts. Expect music, great beer, and a little bit of friendly rivalry.